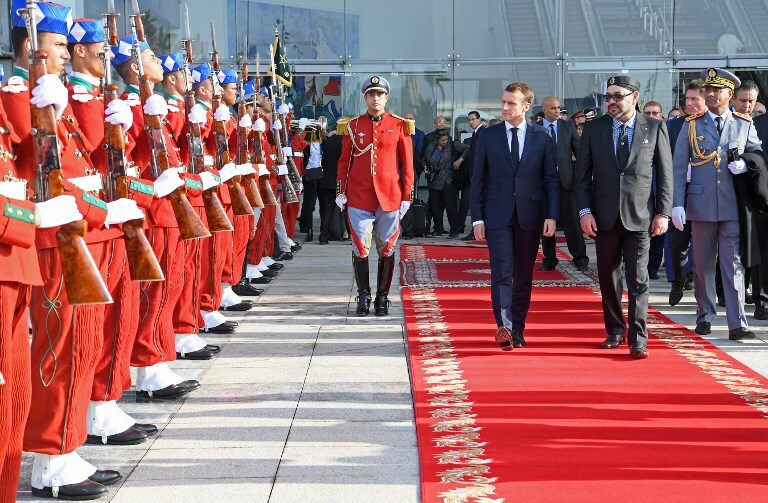 On a bright autumn afternoon in Tangier last year, French President Emmanuel Macron beamed as he walked alongside the stately figure of King Mohammed VI of Morocco. To great fanfare, they inaugurated Africa’s first high-speed train line, Al-Boraq, named after a legendary speedy steed of the Islamic tradition. Connecting Tangier and Casablanca in two hours, passengers can take in breathtaking vistas through its panoramic windows, which frame the towns and forests of the Rif Mountains, while a buffet car serves sweet mint tea in a nod to the golden age of railway travel. However, Al-Boraq is more than a romantic indulgence, it connects the economic hub of Casablanca with one of the world’s largest ports in Tangier. The project is reflective of Morocco’s economic growth in a region that has been fraught with chaos and on a continent with untold levels of poverty. According to the Moroccan foreign exchange regulator, flows of foreign direct investment (FDI) hiked 36.7 percent between January and November 2018. In real terms, Morocco attracted $3.3 billion, up from $2.4 billion the previous year. Tourism numbers were up by 10 percent in 2017, when a record-breaking 11.35 million people visited the country. Tourism revenues and expat remittances are a critical lifeline to Morocco’s economy. Though, more broadly, economic growth for 2019 will be slightly lower than the 4.1 percent high of 2017, other indicators reflect significant developments in the country’s manufacturing and agricultural sectors, which will support its upward trajectory. Driven by strong domestic and growing international demand, the manufacturing sector is expected to outperform past records in the coming year owing to the activities of the automotive and aeronautic industries, in addition to phosphate processing. Perched on Africa’s tip, a few miles away from Europe and directly facing the Americas, Morocco is perfectly positioned as an international hub. Meanwhile, fueled by international investment and government incentives, Morocco moved up nine places to 60th in the World Bank’s latest Ease of Doing Business Index. The country, which aims to be among the top 50 by 2021, has shown itself to be a growing destination for business and trade. Just last year, the 2018 Ernst & Young Africa Attractiveness Survey showed that, for the first time, Morocco had joined South Africa as the top FDI destination in Africa — a huge coup for a country of limited natural resources. The accolades are an important achievement and reflective of Morocco’s development. Heavily reliant on tourism and agriculture, Morocco has sought to use its stability to its advantage. As long-standing European banks gradually withdraw from Africa, Morocco has begun using its new-found financial muscle to project power across the continent, with hopes of becoming a more influential continental player. Aside from acting as an important transport hub for the west of Africa, Morocco’s banks have aggressively sought to own subsidiaries and stakes in banks across more than 20 African countries, with deals as far-flung as Madagascar and as high-profile as purchasing Barclays’ stake in Egypt. Though Morocco escaped largely unscathed from the global financial crisis owing to its limited integration with international financial markets, the subsequent slowdown in the euro zone hurt the country’s export sector. Since then, the drive to pursue opportunities in Africa has been part of an astute effort to reshape the country’s financial policy by diversifying its economy. An explosive population rise, ever-expanding middle class and regional proximity make sub-Saharan markets ideal for Moroccan businesses, which have used the expansion of national banks as an opportunity to establish trade links. Stability has been the foundation of Morocco’s economic success, though what remains an issue is wealth disparity. At present, the richest 10 percent of the population spend about 12 times more than the poorest 10 percent, meaning wealth disparity is growing. Foreign investment has helped offset Morocco’s worsening trade deficit, which increased 7.7 percent last year, but pressing reforms to education and skills to improve the youth unemployment rate of 27 percent are a more durable solution. For Morocco to continue attracting billions of dollars in foreign investment, such reforms are critical to guarantee the upward trend of its economy. Decision-makers do seem to have heeded the importance of such issues and, aside from pursuing a policy of continental expansion, they have reduced energy subsidies to divert funds toward bolstering employment. Perched on Africa’s tip, a few miles away from Europe and directly facing the Americas, Morocco is perfectly positioned as an international hub — it is critical that it makes the most of its natural advantages.